The sun may be setting on those glory days of summer, but we can still reminisce on those happy times, basking in the heat of the English sunshine. But then, when those memories start to fade, how do we recall the most amazing weather we’ve seen for many a year? Ice Cream of course. “Hang on,” I hear you cry, ” it’s freezing cold, pouring with rain and blowing a gale outside. I really don’t fancy an ice cream“. Fair enough, but worry not – we have the answer. 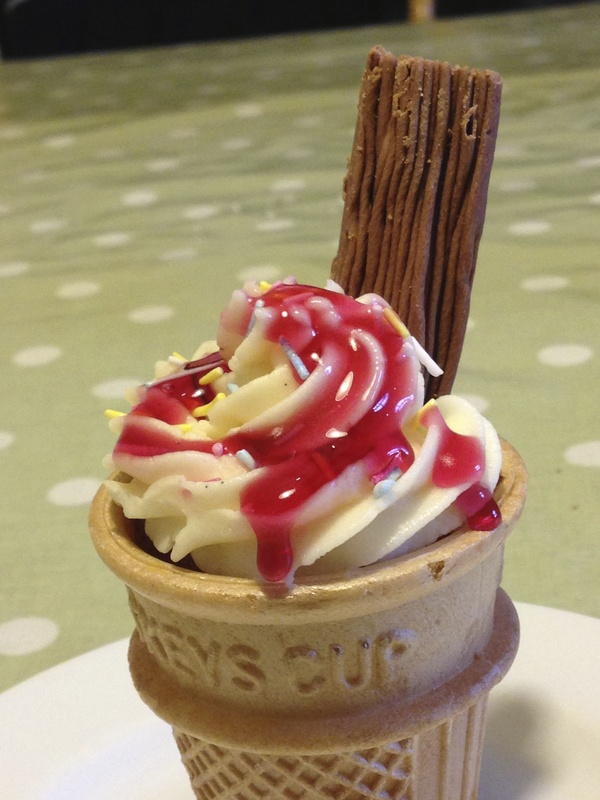 Proper Vanilla Ice Cream Cupcakes, just like Mr Whippy used to make. Add sprinkles and raspberry sauce, then serve!